Can’t wait to see more rendering of this boat. I like the lines of the hull. Not as boxy as many of the non-performance cats we see nowadays. 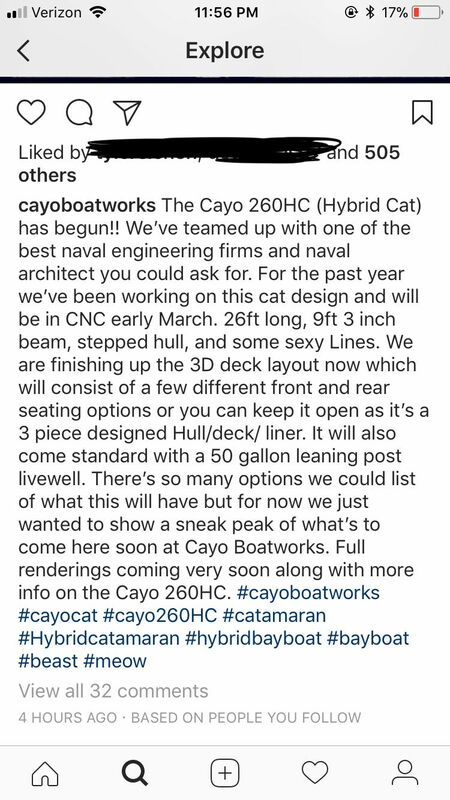 Hope the deck is a true hybrid layout with multi-function front deck and open rear. Hopefully it will ride much better than a Calcutta. 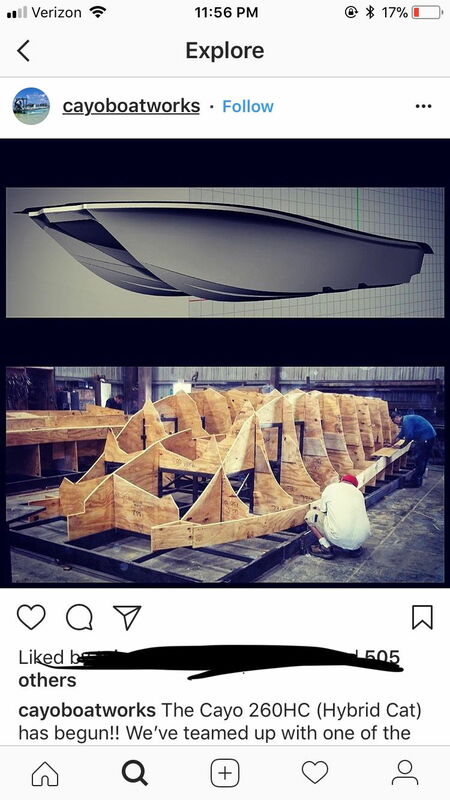 This is a great looking boat and the beam is going to make it feel huge. I like the idea they are going to have an open option as well. I’m assuming they are going for speed with the stepped hulls. Can’t wait to see more pictures. I thought the Calcutta is a good riding hull? I was gonna post something on this as the company is local to me, interesting ..... very curious on price point. What is the company’s back ground? I thought I saw something about paddle boards and a few small skiffs. I hope it’s still an offshore 26’ with the option for front and rear casting decks. The CAD drawing is impressive looking. In to watch this unfold. I think Bill at Prowler is also looking at doing a bay cat as well, right?